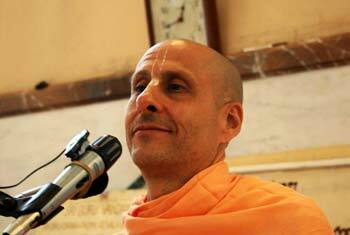 Question to Radhanath Swami: How can one increase one’s faith in the holy name and in the process of Bhakti yoga? 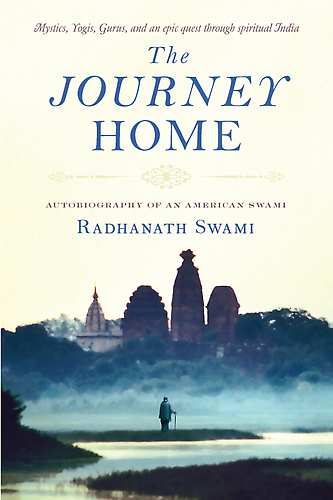 Radhanath Swami Answers: The best way is to associate with people who have that faith, to perform those activities and to cultivate those thoughts that increase our faith, and to avoid those vibrations that distract our mind from that goal. Now, when we are living in society, there are so many distractions. But those distractions can actually help us if we are spiritually strong. When you resist to distraction, you become stronger spiritually. When you give in, you become weaker. So, Bombay is a wonderful place to become strong! If we have nice association, and if we cultivate spiritual strength in our free time, we will be empowered to keep our mind fixed on what is virtuous, what is truth, and what will help us awaken love of God. And every test we pass, we’ll be filled with grace, we will become strong. How many of you enjoy your exams in school? But those exams are necessary! Because when you know the exams are coming, you have to prepare yourself. So, in this world, you know your faith will be tested every day. And knowing that actually helps us to take our spiritual practices more seriously.